The lethal protector continues his symbiotic crusade as the most fearsome anti-hero in comics! But the bounty hunter Mace and the Sunrise Society may well bring an end to Eddie Brock's new dawn! If not, perhaps the demonic vigilante Vengeance will be Venom's undoing, when the two dark warriors are targeted by the Stalkers! 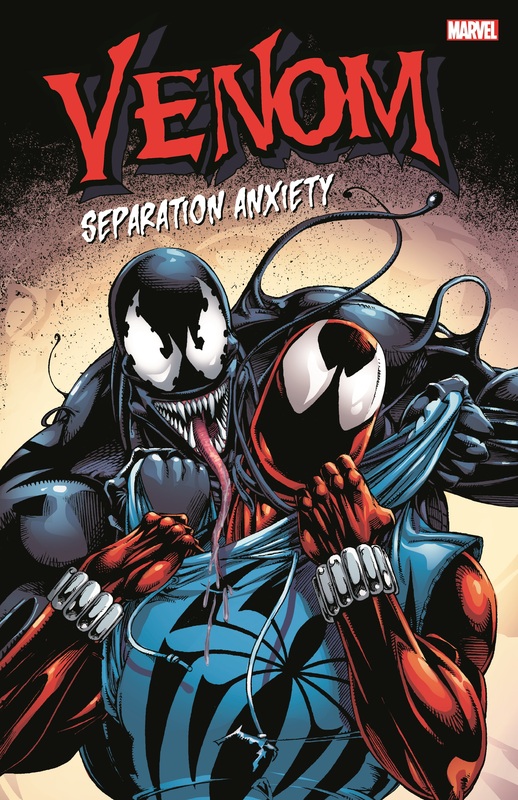 Then again, Venom might end up caught in the familiar yet different web of the amazing, spectacular...Scarlet Spider? One way or another, Eddie and his other half are heading for some separation anxiety. 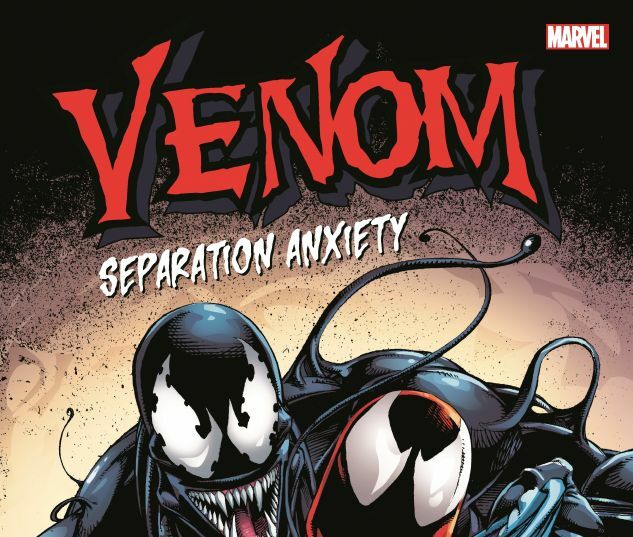 But while the alien parasite begins a quest to reunite with Brock, fi ve symbiotic spawns of Venom get to him first! 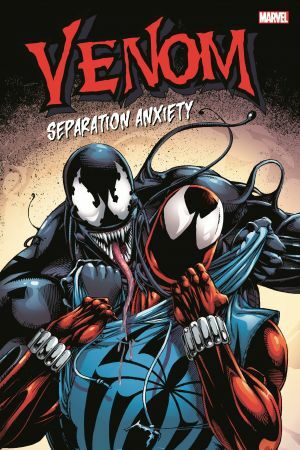 COLLECTING: VENOM: THE MACE #1-3, VENOM: NIGHTS OF VENGEANCE #1-4, WEB OF SPIDER-MAN (1985) #118-119, SPIDER-MAN (1990) #52-53, VENOM: SEPARATION ANXIETY #1-4.